The use of a traditional mop and bucket is the primary cause of dirty floor grout. This also contributes to the spread of bacteria and viruses. Since mops don’t really get cleaned, they harbor bacteria and viruses that you then spread all over the floors. 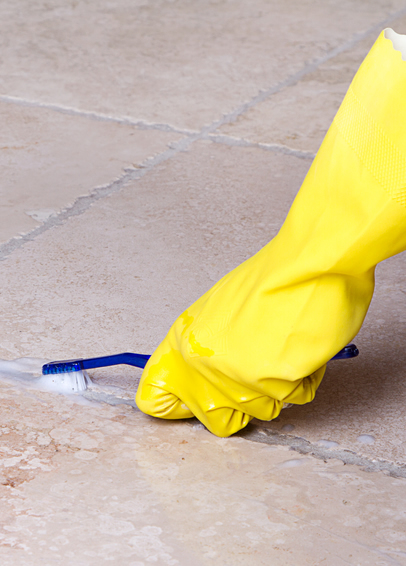 When attempting to clean with a mop you are pushing dirty mop water into the grout joints into the floor. The grout joints are very porous and allow dirty mop water to continue to deposit new dirt into the grout.